" If you’ve witnessed the preferential treatment of men in America’s houses of worship, you will not be surprised to learn that there is a surge of women in this country rising up and demanding religious equality. More and more, religious women—Christian, Muslim, and Jewish—are declaring that they expect to be treated as equals in the religious sphere. They want the same meaningful spiritual connections enjoyed by their brothers, fathers, husbands, and sons. They embrace the word of God but are critical of their faith’s male-oriented theology and liturgy. They reject the conventional interpretations of religious traditions that give women a different—and, to their minds, lesser—status. Rather than abandoning their faith, these women are taking it back and making it stronger, transforming religion while maintaining tradition. " "Leora Tanenbaum relates the experiences of Catholics, evangelical and mainline Protestants, Muslims, and observant Jews. The conflict these religious women face—honoring tradition while expanding it to synchronize with modern values—is ultimately one that all people of faith grapple with today." "Women's Ordination: 31 Popular Arguments & Biblical Answers, by Eugene Prewitt. Read reviews or order this book safely from Amazon.com online book store. Available in paperback and Kindle format. The controversial subject of women's ordination has become a polarizing issue within the church, yet there is still a calm, rational, and biblical way to search for a resolution. Is women's ordination a question of fairness or culture? Is there really an absolute truth on the subject? Eugene Prewitt carefully tackles these questions and many more in this concise but practical book to help you better understand God's Word on the matter. "Beyond the Curse: Women called to ministry," Aida Bescancon Spencer. Read reviews or order this book safely from Amazon.com online book store. "With issues such as the ordination of women and the call for "inclusive" language affecting the Church today, Dr. A¡da Spencer has provided a helpful and important study of how the Scriptures really speak to these and other issues related to the role of women in the Church. From the biblical account of creation and "the fall" to other relevant Old Testament passages, Beyond the Curse carefully examines the attitudes toward and teachings about women-especially those of Jesus and Paul." James Beck, "Two views on Women in Ministry," Zondervan., (2005). 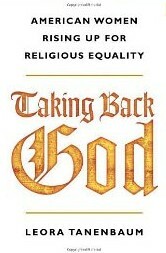 Review/order this book A debate between two theologians promoting the egalitarian and complementarian points of view . M. Chaves, "Ordaining Women: Culture and Conflict in Religious Organizations," Harvard Univ. Press, (1997). 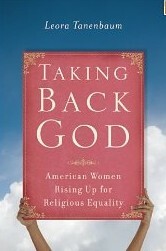 Review/order this book The author "discovers that groups having strong sacramentalist or strong fundamentalist beliefs are the most likely to use restrictive views of womens roles in the church as a protest against modernism and liberalism." Stephen Gola, "Women In Ministry? Absolutely! Women Teaching in Church? Of Course!," at: http://www.divorcehope.com/"
"Women's Ordination: the Hidden Tradition," is a 58 minute British videotape of the history of women's ordination in Christianity. It was made in 1992 and caused quite a stir at the time. It "investigates Church history which suggests that the evidence of history is not as clear-cut as it might appear. For it would seem that in the fifth century, Pope Gelasius I sent a letter to the bishops of Southern Italy instructing them to stop ordaining women." The videotape is available in the U.S. from: Reel Spirit Productions, 3724 F.M.1960W., Suite 315, Houston, TX, 77068. Telephone: 1-800-3EMMAUS.